As a loyal guest and Le Club Voyage member, we want you to be among the first to know about new developments at Azamara Club Cruises®. Whether it's the announcement of new destinations and itineraries, exciting new programs, exclusive member benefits, or our newsletters, you'll find it here! We look forward to welcoming you back soon for amazing travel experiences around the world. New loyalty benefit! Le Club Voyage members, for every new referral who makes a reservation and sails with us, you will receive a Future Cruise Credit! 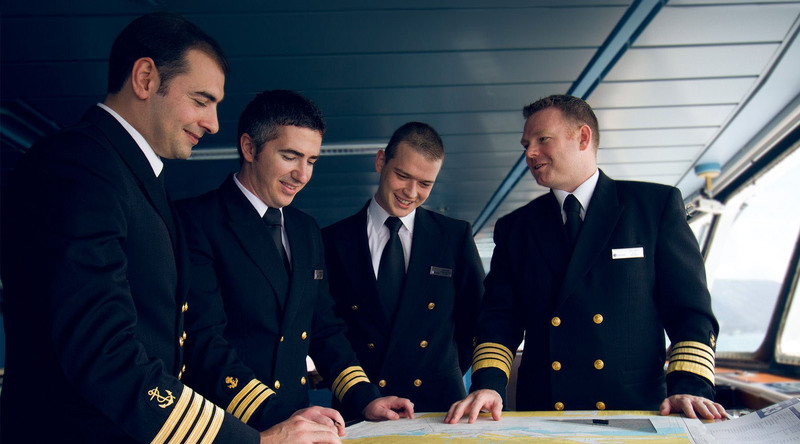 Flip through our Le Club Voyage World Newsletters and find more great behind-the-scenes experiences onboard Azamara Quest®, Azamara Journey®, and Azamara Pursuit℠. 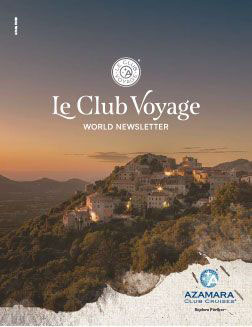 Welcome to our first Le Club Voyage World Newsletter of 2019! This edition is sure to inspire your inner adventurer. Inside, you’ll find a close look into one of our annual LCV Voyage destinations, special recipes shared by our Executive Chefs, exclusive deals, our top picks for romance in the Mediterranean, a first-look at exciting changes coming to the Quest, and so much more. Happy Holidays from all of us at Azamara! 2018 has been an incredible year and we’re thrilled for 2019. 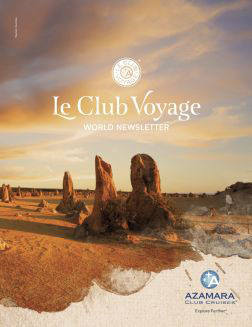 Our latest Le Club Voyage World Newsletter gives you the inside scoop on what's in store for us. Learn more about our 2019 LCV Voyage, discover holiday staples from around the world, be the first to find out about our brand new AzAmazing Evenings, and so much more! The world is filled with unique cultures and traditions. No matter where (or when) you go, you’re sure to discover something spectacular. 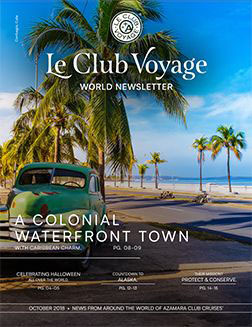 Our latest issue of the Le Club Voyage World Newsletter details one-of-a-kind destinations and events from across the globe, while also featuring an exclusive update from one of your LCV Ambassadors, a detailed look at our 2019 LCV Voyage to Alaska, and so much more. 22-FEB-14 Azamara Club Cruises, Anthony Bourdain And The Wolfsonian-fiu Museum Hosted "an Evening Aboard The S.S. Wolfsonian"
13-NOV-13 Azamara Club Cruises Introduces 2014 Azamazing Evenings!